Chiyan Vikram’s upcoming film that will be directed by Anand Shanker has a good list of cast for the film. With Vikram and Nayanthara already agreeing to do the film, Nithya Menon will join on board sooner. Nayanthara will play the role of a lead heroine while Nithya in a prominent role. Earlier heroines like Kajal Agarwal and Bindu Madhavi were talked for the second female lead, but director Anand has finally opted for Nithya. In the recent time actress Nithya has been accepting roles that aren’t a heroine stature but a prominent one, in her words ‘a character that has a good scope for acting.’ Films like ‘S/O Satyamurthy’ and ‘Rudhramadevi’ in which she was seen as a character, gave her enough space to show case her acting skills. 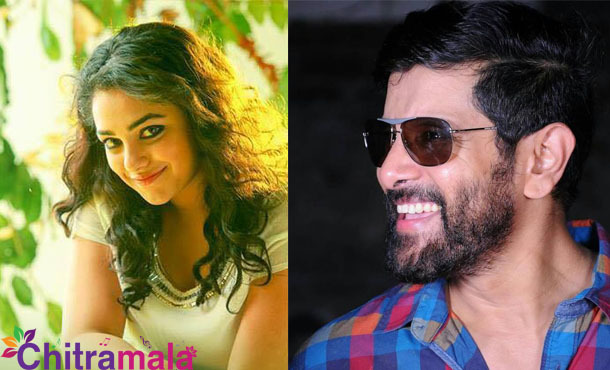 There is another reason behind Nithya agreeing Vikram’s film. She has been a huge Vikram fan since the beginning. Nithya admitted on many occasions that Vikram’s approach towards characters fascinates her and get inspired by his acting. With a film that has her admired actor as the hero, why wouldn’t Nithya accept as the second lead?